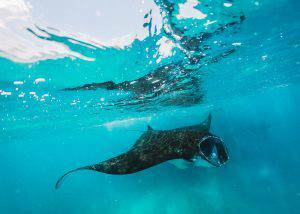 Lot of ocean lovers are wondering where to swim with Manta Rays. Snorkeling and diving with mantas is an unforgettable experience! It is difficult to explain in words the sensations that arise when you glide underwater with these amazing giants. We invite you to join us for an underwater adventure and experience freediving and snorkeling with Manta Rays around Nusa Penida. On this half day trip we will bring you to four different dive sites.  We will meet around 7:30am at Freedive Nusa to take our equipment and listen the briefing about safety rules and behavior while swimming with mantas. We provide the whole set of equipment for freediving including wetsuits because the water in that part of the island can be quite cold, especially from July to September. Then you will go to Toyapakeh from where the boat is leaving and will be back around midday. You will visit the main attractive freediving and snorkeling sites near Nusa Penida. 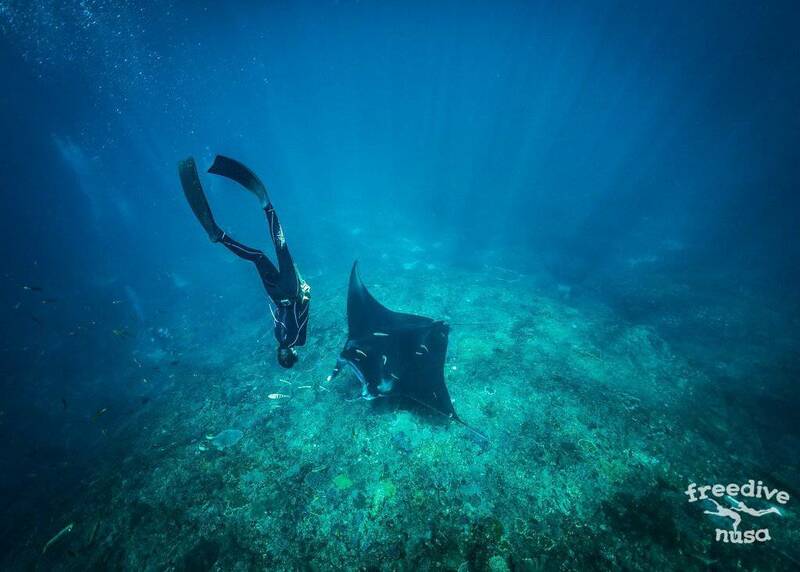 First dive site will be Manta Bay or Manta Point where you can snorkel or freedive with Manta Rays. Which of these two dive sites we go depends on the conditions on that day as both are on the exposed site of Nusa Penida where strong currents and swell can be prevailing. Manta Rays can usually be seen right from the surface as they feed on plankton that has been pushed into the bays by the currents. It is awesome and unforgettable experience to swim near these gentle giants which can reach up to 6 meters of wingspan. As we are going out into nature we can not guarantee to see Manta Rays, but usually have a high chance. 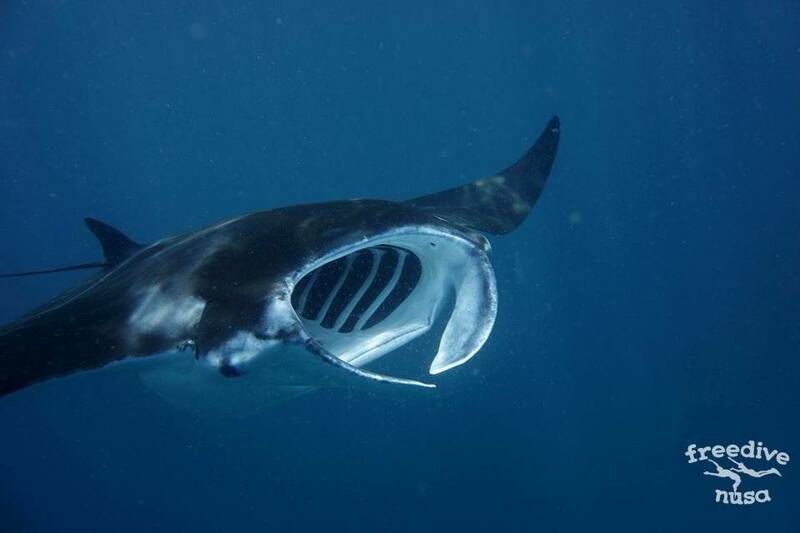 Swimming with Manta Rays will be an amazing underwater experience that you will remember! Our second stop will be at a reef snorkeling site. Crystal Bay presents an abundance of colorful corals and reef fish. And if you are lucky a turtle, stingray, mantis shrimp or even reef sharks might be around. For experienced Freedivers we also offer to freedive into a cave through an underwater entrance and being amazed by hundreds of bats that call this cave their home. This is a small bay less visited by divers than Crystal Bay, so there are less dive boats around. A rich colorful reef at the depth of 3-5 meters, which is ideal for those who are tired of diving and just want to swim on the surface while looking at underwater beauty.Conditions are often more comfortable than in Crystal Bay – fewer people, warmer water, the sea is calmer and no waves. This dive site is a beautiful coral wall near Toyapakeh village where we began our journey. There is always some current, so this is one of the best places on the island for drift diving. We will drift along the wall observing the diversity of underwater life, while the boat accompanies us. We can organize private charters, group snorkeling trips and freediving trips. 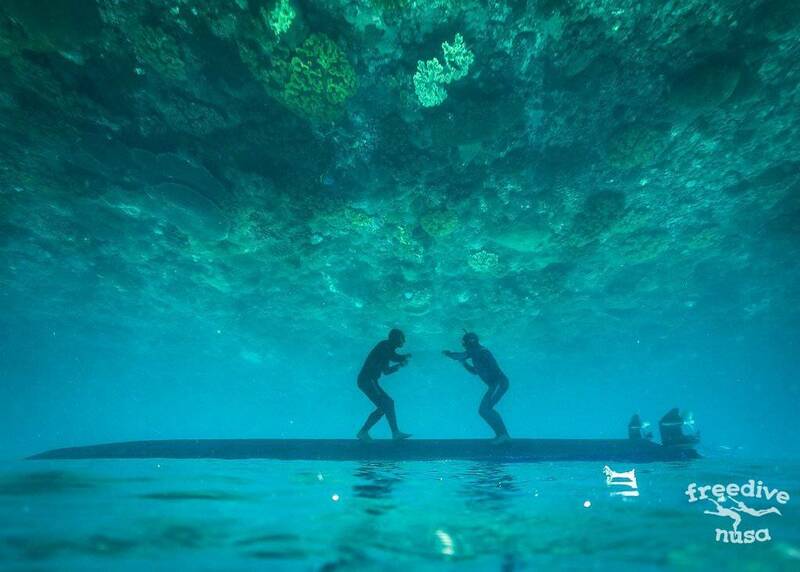 On these trips we will provide a local guide who is a professional freediving instructor for additional in water safety and knowledge about dive sites and marine life. Please, notice the trip starts from Nusa Penida not from Bali. So you have to come to the island by your own and spend night here. Or you can come to Nusa Penida by first speedboat from Sanur at 7am. If you are group of more than 5 people and want to start your trip later, it is possible to start at 11:30. Due to strong sea conditions like big swells, strong current or stormy weather the trip can be cancelled with short notice. In this case the trip can be rescheduled for another day or full refund will be given.